Admiring ourselves in mirrors comes as naturally to us as breathing. Whether we bask in our magnificence, look for flaws or simply try to make ourselves as perfect as possible we spend a much time looking at our reflections. So why not combine this most mundane human instinct with the realm of infinite possibilities? In the world of commercials, almost everyone has a selective blindness for ordinary marketing tools. Provide your customers with desired information and targetable messages on a surface they would never expect to get it. Leave a lasting impression with the DENSION SMART MIRROR technology. Why Dension Smart Mirror is the best choice? Dension digital mirrors are delivereD with a complementary device and content management application, dension's very own sherpa. sherpa is a cloud based service that makes possible to control your device network, schedule your content and advertisments. 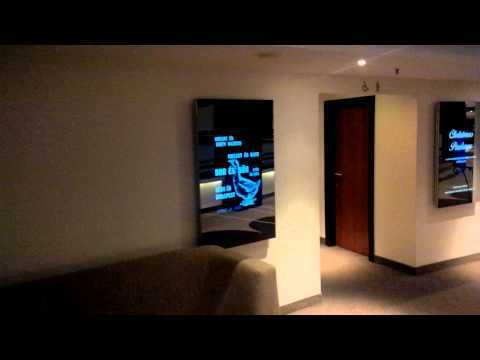 dension provides free unlimited access to all of the users of its digital mirrors. Dension sherpa needs a browser on your pc and requires your mirror to be online.